This spring outfit idea goes out to all the minimalists out there. We combined a chic camel wrap jacket with '90s-inspired pieces like subtle cat-eye sunglasses, hoop earrings, straight-leg jeans, and strappy mule heels. 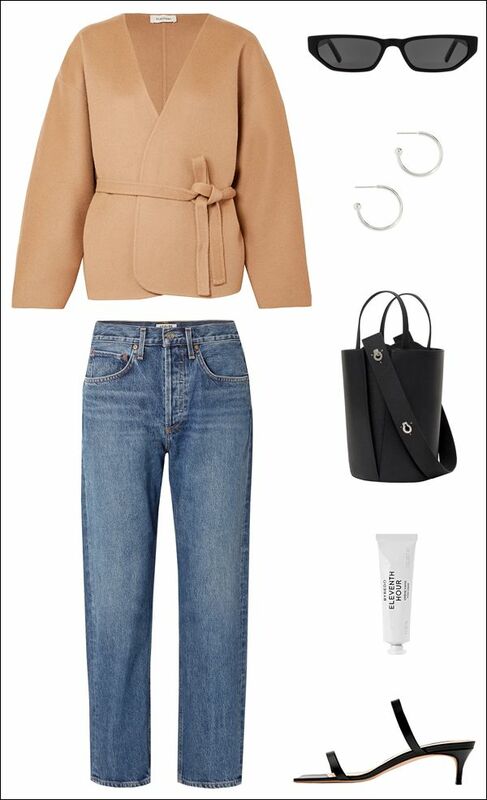 Top it off with a timeless bucket bag for the ultimate modern look. Shop each piece from the outfit below.